We are a leading Exporter of two wire conductivity transmitter, conductivity two wire transmitter and din rail conductivity two wire transmitter from Vadodara, India. Two Wire Conductivity Transmitters (Din Rail) are available in three base configurations to utilize two-electrode, four-electrode or toroidal (Electrode-less) sensors, allowing for installations ranging from ultra-pure water to the most difficult chemical applications. We offer a high quality Conductivity Two Wire Transmitter. This product is designed over low drift low power components & available at reasonable prices. It pumps in a constant current into the liquid through the conductivity cell to measure the electrical conductivity of any liquid. The square wave signal is selected as an excitation voltage for the conductivity cell for the ease for processing. It provide 4-20mA dc signal on the same two wire which carry the 24 V DC for conductivity measurement. The transmitter is an ideal choice for Linearized measurement with standard conductivity cell. Temperature of the liquid is monitered by a RTD element and compensation is provided over the complete operating range. 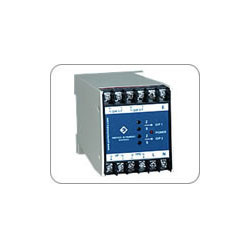 It provides a current output signal of 4 – 20 mA DC capable of driving a load of upto 650Ω. The range of the instrument can be selected by setting the DIP switches on the module and with proper cell constant. The temperature compensation provided as standard is 2%/deg. C but can be changed to a value anywhere between 0 to 4%. 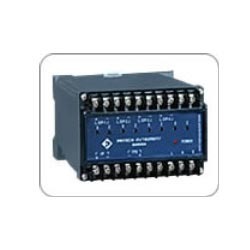 The transmitter is available in field mounted housings with or without local display. The local 3-½ digit loop powered display reduces the load capability of the transmitter to around 500Ω. Also the transmitter is available in weather or explosion proof housing. In order to fulfill the changing demands of our clients, we are offering Din Rail Conductivity Two Wire Transmitter. This product is developed by the dedicated efforts of our R & D department for the better development of our products. Before the end dispatch, we stringently examined by the quality analyzers of our firm on varied parameters to ensure their flawlessness. Looking for Conductivity Two Wire Transmitters ?